We offer Granite Cobbles for bulk supply. 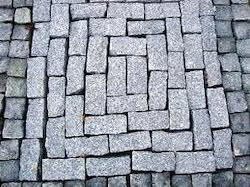 Acqiurable in different dimensions these granite cobbles can befitted for beautifying the walkways in the park and can be used for varieties of purposes. We are one of the top-notch traders and suppliers of an exhaustive collection of plumbing material, sanitary items, marbles, tiles. These are available with us in exotic designs and vibrant color combinations.